Natural Living Ideas has a large global team of authors who contribute content on a huge variety of topics. Each author has specialist, in-depth knowledge of the content they produce, whether that be from the education they have enjoyed or the lifestyle they live. Our authors are committed to honesty, integrity and accuracy with their published articles. Take a look below to meet some of the team. Susan is a Certified Health Coach, Master Gardener, and sustainability expert who has authored over twenty top-selling books on healthy living, clean eating, gardening, and natural wellness. She has taught thousands of people how to shop, cook, eat and live well. Her personal commitment to wellness combined with a thorough knowledge of using food as medicine has fueled the sale of over 100,000 copies of her recipe and wellness books. As a sustainability expert, she has also written thousands of articles and books on homesteading, growing organic food and how to use herbs and essential oils for health. Her passion for helping people doesn’t stop with sharing information, Susan is active in her community where she speaks often about health and wellness and has a thriving personal health coaching business where she is committed to providing the tools that people need to live a full and pain-free life. When she is not helping others, Susan enjoys hiking, biking, kayaking, gardening, and photography. Lydia is a natural living enthusiast and full-time freelance writer. 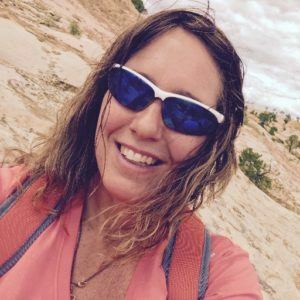 She earned a bachelor’s degree in Environmental Studies from Calvin College, which serves as inspiration for writing about food, farming, and holistic wellness for both humans and the planet. Lydia’s work can be found in print in Mother Earth News, Mother Earth Living, and Heirloom Gardener, as well as dozens of websites. When not writing, you can find Lydia maintaining her 33-acre hobby farm ‘First Roots Farm’ in southwest Michigan. Connect with Lydia online at www.firstrootsfarm.com. Debbie is a mom of two rambunctious boys, wife, and work-at-home mom from Georgia. When not writing or crafting, she is in the garden or hidden away reading. Debbie is an obsessive crafter, home chef, and gardener. She is a freelance writer and co-author and photographer behind the garden blog, The Prudent Garden. She is also a regular contributor to garden and crafting content for HGTV, DIYNetwork, and Great American Country. Her first title, Do-It-Yourself Garden Projects and Crafts from Skyhorse Publishing will be available February 2019. Lindsay is a freelance researcher and writer. Armed with a degree in philosophy and a passion for knowledge, she has spent the last 15 years analyzing primary sources to disseminate useful information for various publications online and in print. Her true love, though, has always been nature and its awesome curative properties. She is particularly interested in evidence-based natural medicine, organic gardening, environmental sustainability, self-reliance, and zero waste living. When not at the writing desk, Lindsay enjoys taking long walks in the wilderness, reading science fiction, tending her ever-expanding garden, and snuggling up with her two orange tabbies. Sharon has a combined 24-year history in the health care and aromatherapy industry. She also has over a decade of professional writing and editing experience. Sharon is UK-certified aromatherapist and a NAHA Certified Professional Aromatherapist®. She is both a published author and editor in aromatherapy, a consultant, custom blend formulator and herbal studies student. She has been living in the United States since 2006 and is the founder of Sedona Aromatics: The Garden School. Sharon offers a home study aromatherapy education program: The Linguistics of Aromatics Program, approved by the National Association for Holistic Aromatherapy (NAHA). She works from her garden studio in Sedona, Arizona, where she offers small workshops and retreats on-site in her Botanical Workroom and classroom, surrounded by her one-acre homestead and aromatic gardens. Sharon is the author of Authentic Aromatherapy, the current chief editor (and regular writer) of the NAHA Aromatherapy Journal, serves on the executive board for NAHA, and the NAHA regional director for Arizona. She presented at the 2018 NAHA Conference on the topic of The Healing Garden in Salt Lake City, Utah. Sarah Garone, NDTR, is a freelance health and wellness writer and nutritionist registered with the Academy of Nutrition and Dietetics. Her interest in nutrition began when a health scare in her 20s made her take a hard look at her diet–and she now believes strongly in the power of healthy lifestyle as the best medicine. In addition to her work as a writer, Sarah teaches Toddler Test Kitchen, a hands-on cooking class for young children, and offers corporate wellness presentations in the Phoenix area. She lives in Mesa, AZ with her husband and three children. You can find her sharing down-to-earth nutrition information and (mostly!) healthy recipes on her blog, A Love Letter to Food, or on Facebook and Twitter.